The Weimar Republic was created shortly after the end of World War I, giving Germany the first democratically elected parliamentary government in its history. After only fourteen years, this period of unprecedented political, personal, and artistic freedom was dealt a crushing blow with Hitler’s ascent to power. While it lasted, it produced an exceptional body of songs that dealt with the human experience, cultural trends, and political institutions with wit, intelligence and a generous dose of fearless satire. 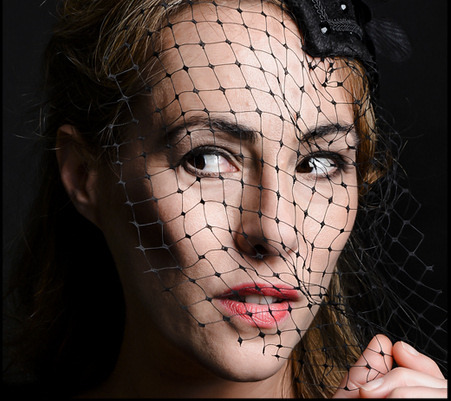 From London, Melinda Hughes made her New York cabaret debut at the Metropolitan Room last month, accompanied on the piano by the fine musician David Shenton, with “Weimar and Back,” a program of Weimar era songs and a sprinkling of original material. A lyric soprano with an international opera and recital career, Hughes not only brought a beautiful voice to the enterprise, her manner and commentary were a match for the wit and intelligence of the Weimar songwriters. Though her presentation of the opening number, “Life’s a Swindle” (Mischa Spoliansky, Marcellus Schiffer), seemed a bit formal and polite, that was not the case with the rest of the Weimar selections. She brought fierce determination to Friedrich Hollaender’s feminist “Chuck all the men out of the Reichstag” and, from 1920, Spoliansky and Kurt Schwabach’s “Das Lila Lied” (The Lilac Song), one of the earliest gay anthems. (English lyrics to all three by Jeremy Lawrence). She imbued the lovely “Where Flamingoes Fly” (Spoliansky, Jimmy Kennedy) with deeply felt longing, and her rendition of “Youkali” (Kurt Weill, Roger Fernay) was exquisite. The musical selections were smartly interleaved with context-setting information. For example, before singing “I Am a Vamp” (Spoliansky, Schiffer, Lawrence) she talked about the open sexuality of the period and told us the number of prostitutes (male and female) plying their trade in 1930 Berlin. She should drop the anachronistic references to Barack Obama and Prince Harry she added to the Vamp song; they ring false. The version she recorded on her admirable CD “Smoke and Noise” contains no such misstep. She closed with a pairing of songs that didn’t quite fit this show: “My Ship” (written by Kurt Weill, but in 1941, after he had embraced the American musical style and spirit, and Ira Gershwin) and “Sail Away” (Noël Coward, 1949.) The arrangement (not by Shenton) captured the rolling rhythm of the sea, but, unfortunately, at the expense of poignancy, especially in the Coward. Besides, neither song is really about ships or sailing.